1937. 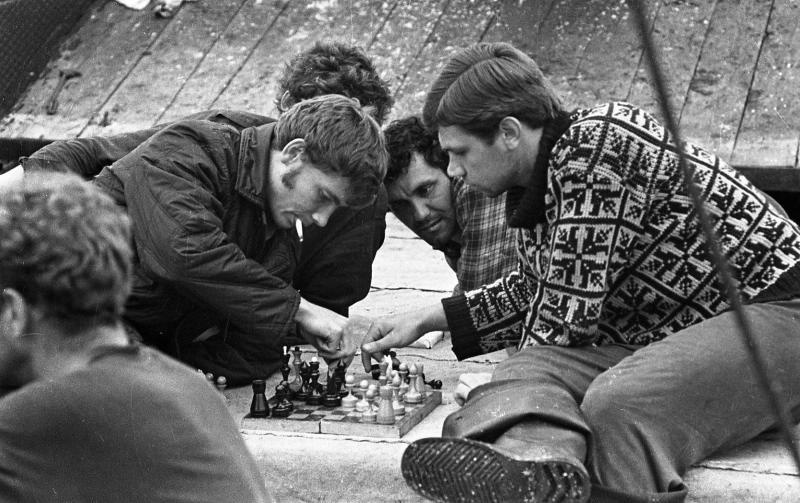 A chess club evening at the House of Steelworkers in Magnitogorsk, 1700km south-east of Moscow. 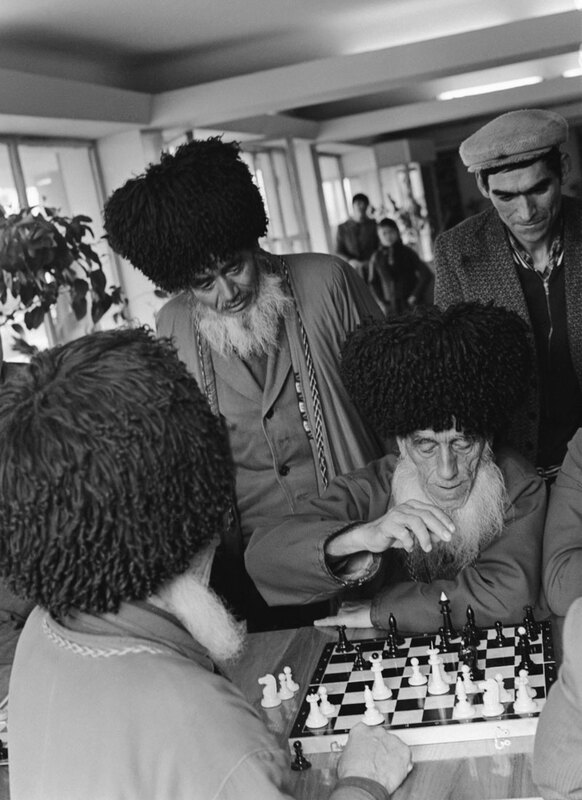 In both Tsarist Russia and the Soviet Union, chess was the nation’s most beloved pastime bar none. These archive photos provide the proof. Normally a quite exclusive club, chess is in the spotlight this November as Russia's leading grandmaster Sergey Karyakin strives to bring the chess crown back to Russia as he competes in New York at the World Chess Championship with the reigning champion Magnus Carlsen of Norway. 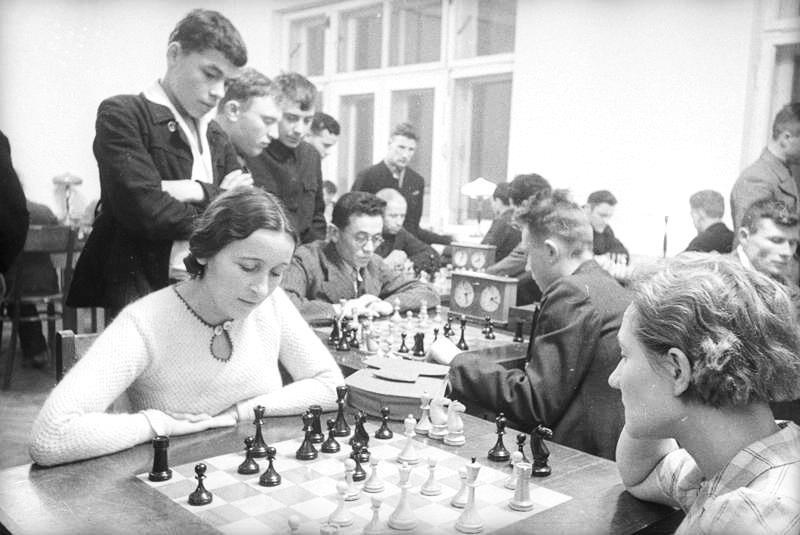 But irrespective of the outcome of the battle, chess will still be played at the grassroots level as it was before. // 1890s. 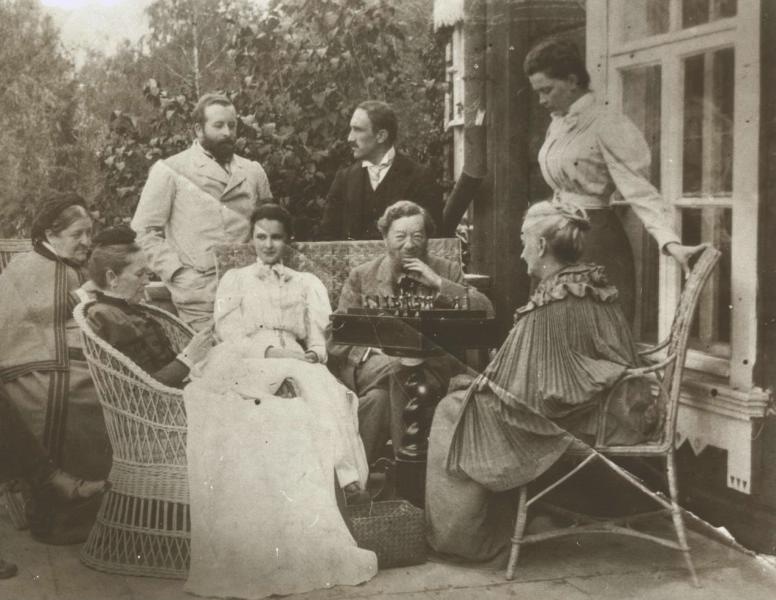 A chess game at Duke Trubetskoy’s mansion at Menshovo (65 km south of Moscow). The mansion, owned by one of Russia's most prominent gentry families, was destroyed after the Bolshevik revolution of 1917. 1914-1918. 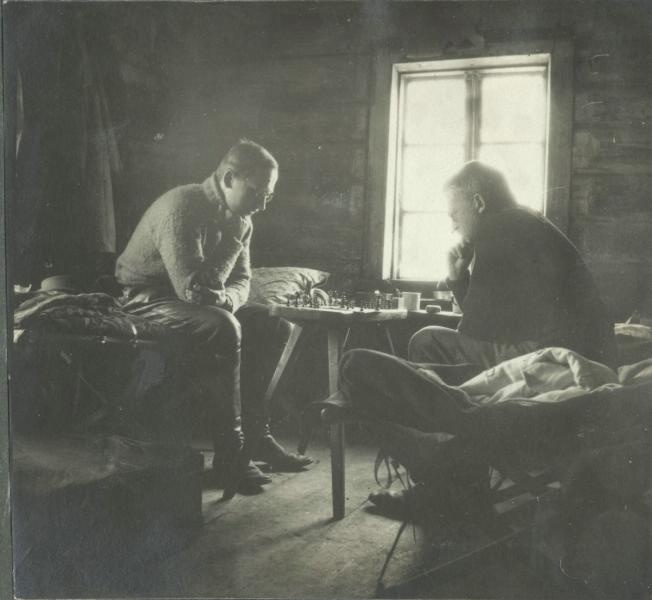 Two men play chess in a wooden country house. 1963-1964. Moscow. 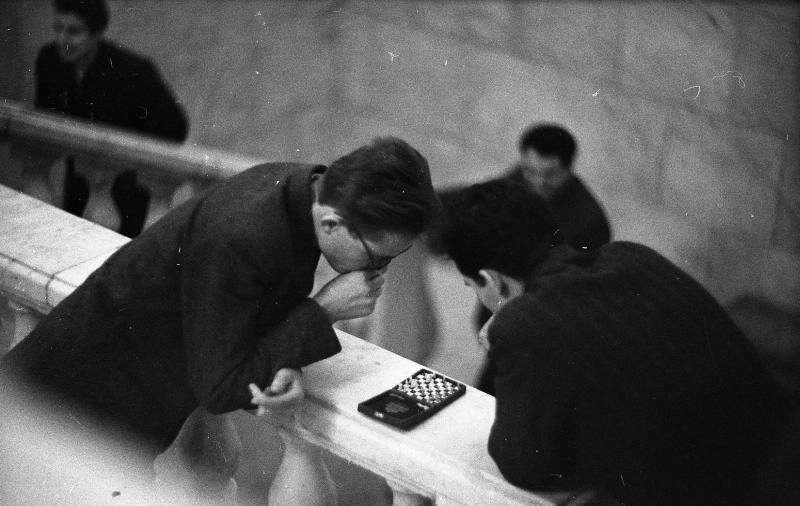 Students play pocket chess between classes. 1972. Sakhalin Region, Russian Far East. 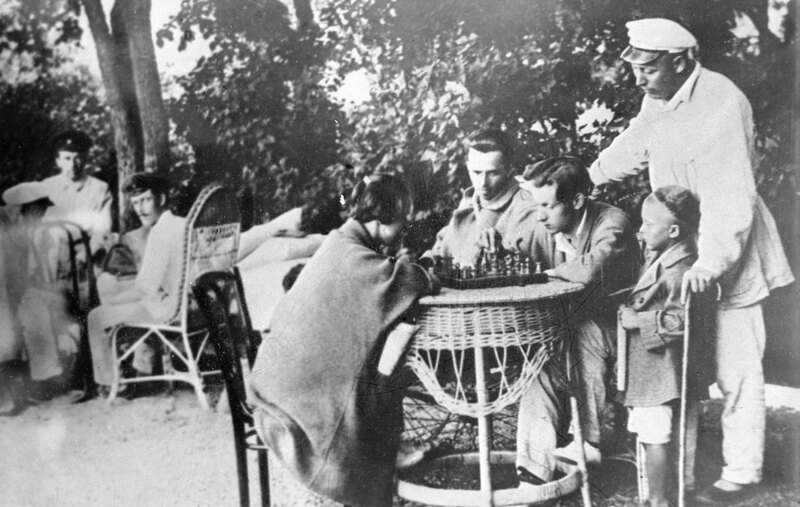 Sailors relax playing chess on a rare day off. 1927. An outdoor chess corner at the Maynaki health resort in Yevpatoria, Crimea. 1964. 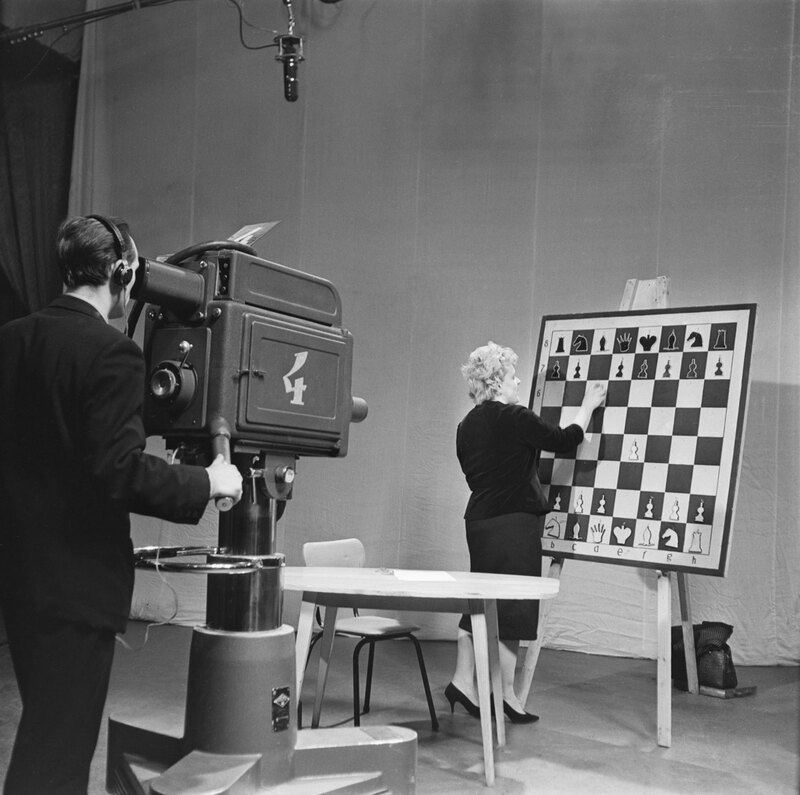 A women analyzes a chess game during a TV show. 1973. 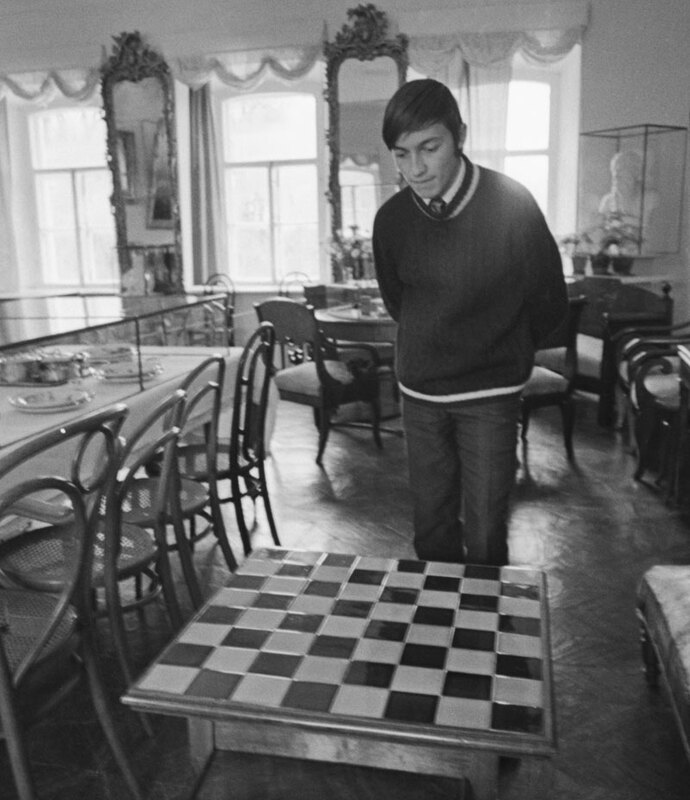 Grandmaster Anatoly Karpov takes a look at Leo Tolstoy's chess table in the writer's mansion at Yasnaya Polyana, 200 km south of Moscow. 1973. 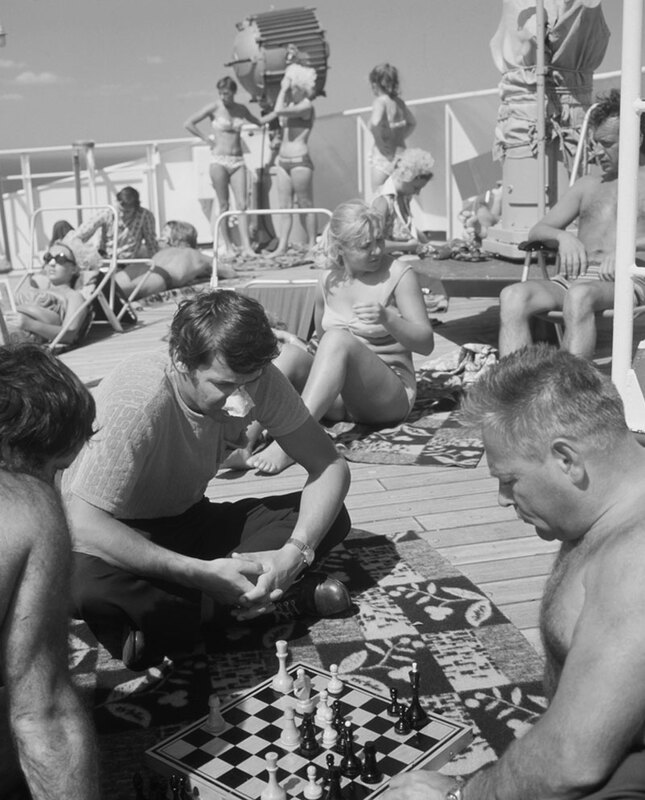 Passengers on board a cruise from Leningrad (now St. Petersburg) to New York relax on the top deck of the ship. 1985. 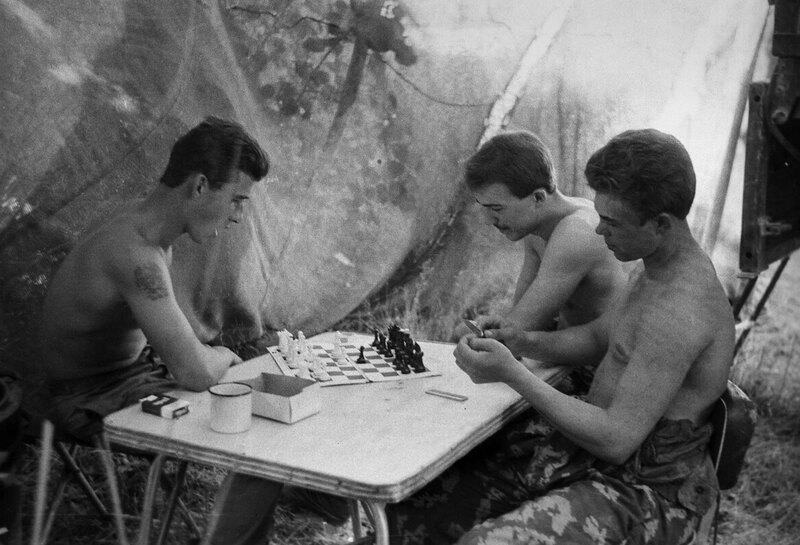 Soviet Army soldiers deployed in Afghanistan during the Soviet-Afghan War play chess at their camp in Nangarhar Province. 1988. 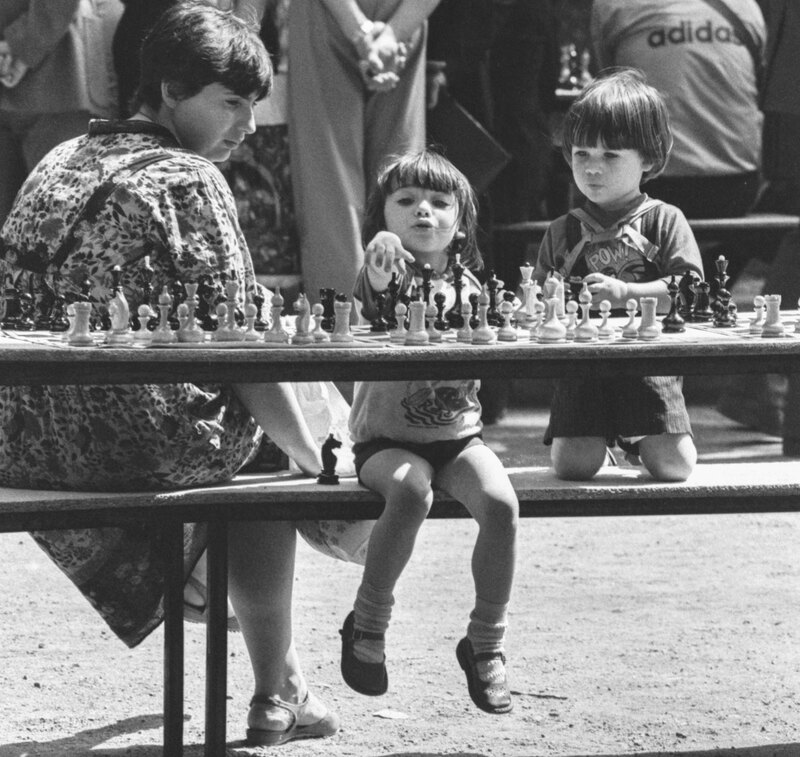 Young participants in an open-air chess festival in Moscow. 1990. 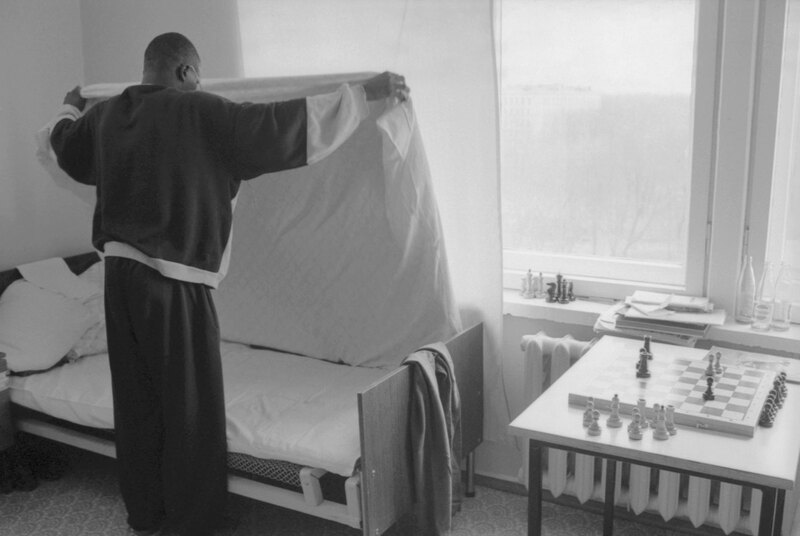 A patient of Moscow Infectious Disease Clinic №2 pictured in his ward.